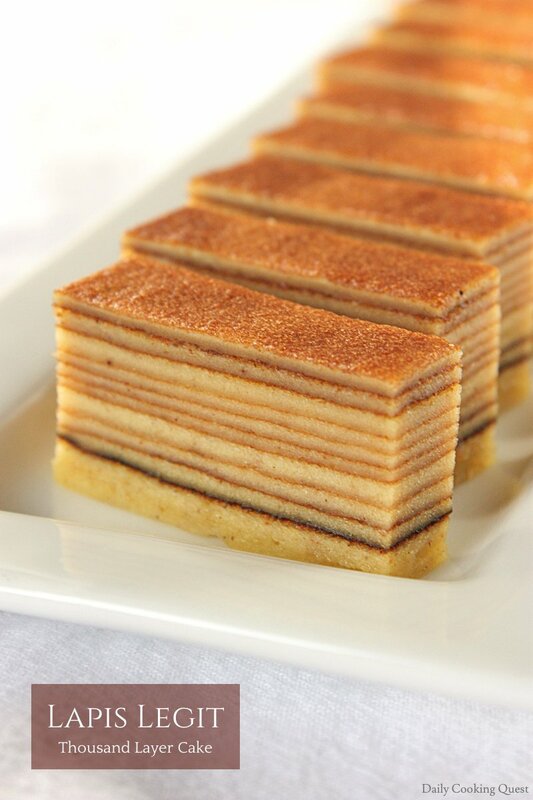 Lapis legit/spekkoek/Indonesian thousand layers cake is a must for special celebrations such as Chinese New Year, Christmas, or Eid. Traditional recipes use 40 egg yolks, but this recipe with 12 eggs still yields a very rich and very tender cake, and full of aroma of spekkoek seasoning. Chinese New Year is fast approaching and my parents and little brother are coming to the States all the way from Indonesia to celebrate the new year with me! I am going to be on full gear, preparing many Chinese New Year goodies to share with my family. The first thing on my long list of food to make is of course lapis legit (thousand layers cake). Lapis legit is probably not going to be on your to-do-list for Chinese New Year if you do not grow up in Indonesia, Malaysia, or Singapore. 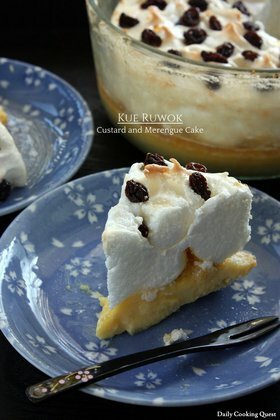 But since I did grow up in Indonesia, this gorgeous cake is a must have along with nastar (pineapple tart). Lapis Legit straight out of oven with the edges loosened. A bit of history lesson. This cake is actually a hybrid Indonesian and Dutch cake, a legacy from the Dutch colonial era but is still widely enjoyed to this day. The Dutch call this cake spekkoek, which translates to bacon cake, because all the layers look like bacon! But, there is no bacon involved, only spices. :) I usually buy ready make spekkoek seasoning, but you can also make them yourself from equal amount of cinnamon powder, mace powder, and nutmeg powder. Lapis Legit, cutting it into several long blocks. The cake itself is very rich and indulgent, made of mostly eggs, butter, sugar, and not much of flour. You can use either an 8” square pan or a 9” round pan for this recipe. Since this is a very high calorie count cake, we usually serve this in a teeny tiny portion, so a little goes a long way. It is not uncommon to divide an 8” square cake into 40 portions! Lapis Legit, further cut each of the long block into tiny portions. Preheat oven to 200 Celcius (400 Fahrenheit). 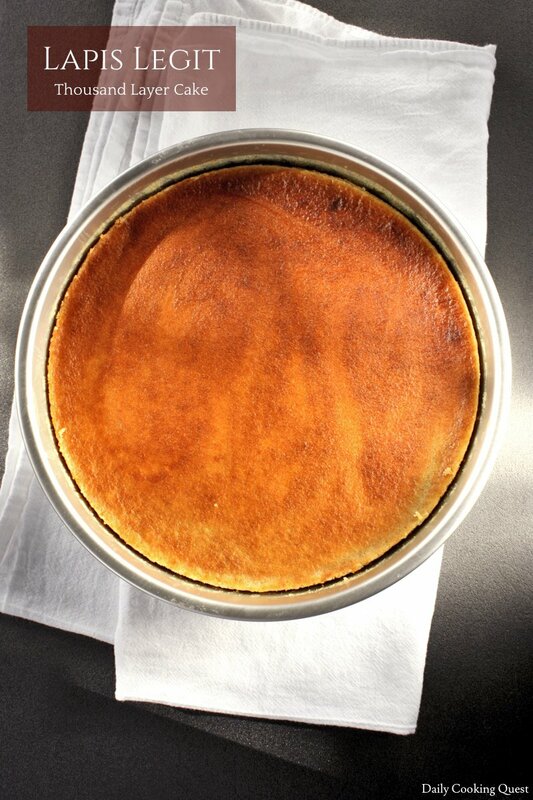 Line a 9" round cake pan or an 8" square cake pan with parchment paper. Set aside. First, make batter A. In a mixing bowl, cream butter, sweet condensed milk, and rum at medium speed until fluffy, about 8 minutes. Add in cake flour, spekkoek seasoning, and salt. Mix again until well combined. Set aside. Next, make batter B. In another mixing bowl, whisk egg yolks and sugar at high speed until thick. Next, make batter C. In another mixing bowl (stainless steel is best for this), whisk egg whites until foamy, then add cream of tartar, and sugar in 3 batches. Continue whisking until stiff peak. Now we will need to combine all the different batter together. First, add batter B into batter A, mix until well combined. Then using a spatula, fold in 1/3 of batter C into batter A/B combo until well mixed, then fold in the rest of batter C until well mixed. For the first layer, spread a small amount of batter, about 1/8 inch, on the prepared pan. Bake in the center rack of preheated oven until golden brown, about 8 minutes. For the second layer onward, turn off the oven, but switch on the oven broiler, position the rack near the top closer to the heating element. Spread batter evenly (about 1/8 inch), the batter will look more melted and runnier once placed into the pan, and bang the pan on countertop to remove air bubbles. Broil for 1-2 minutes until golden brown, you will need to stand watch and be extra careful from here on out. Each broiler heats differently, and yours may need less or more time, but be extra diligent in the first few layers so you don't accidentally end up with burnt cake. Once a layer is cooked and looks golden brown, add another layer, bang it a bit on countertop, and broil again. Continue doing this until the batter is all used up. Cool the cake in the pan for 30 minutes. Then gently work a sharp knife around the edges to loosen the cake. Gently turn the cake out onto a wiring rack, and cool the cake completely. (*) I use spekkoek seasonings from Butterfly brand. Or make your own from equal amount of cinnamon powder, mace powder, and nutmeg powder. What a beautiful cake! Happy Lunar New Year! Gong Xi Fa Cai Anita, Your lapis cake looks amazingly beautiful. 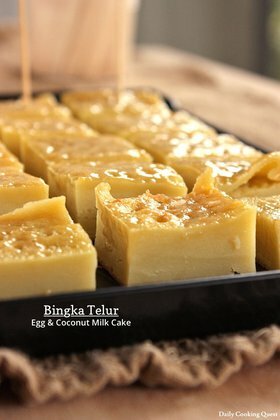 Yes, homesickness is indeed a great motivator, haha :) Do give it a try and let me know if you have any problem while baking this. It can be rather finicky, especially for first-timers. I've been wanting to make lapis legit for the longest time! I haven't mustered up guts to make it ha.ha..! But, you did such a wonderful job. I have to try out your recipe one of these days for real! And so nice that you can reunite with your family for CNY! I bet you guys will have loads of fun!! Haha, I agree that lapis legit is one of those recipes we keep telling ourselves we're going to make it, but it's more likely to be in the "postpone indefinitely" category ;) But seriously though, I can honestly say I spend more energy making nastar (pineapple cookies), so definitely give this a try. Btw, just want to let you know that I tried to leave a comment on your V for Veggie blog but I think I was blocked as bot lol !! Love the nastar btw!!! Oh my goodness -- what a gorgeous cake! Happy new year! Hi Anita, can we use springform pan for this awfully gorgeous cake? That's a very neat lapis legit I saw so far. Looks so delicious too! What an amazing cake, it sounds delicious! I appreciate the history lesson about the cake, I think that knowing some of the cultural context makes the cake so much more delicious and interesting. Happy #sweetlunarnewyear! Thanks Sharon :) And Happy New Year to you as well. Hi, Anita. Glad to find this recipe. I, too, miss Lapis Legit. Being lazy, can I just dump the whole batter into the cake pan and make it a 'single-layer lapis legit'? 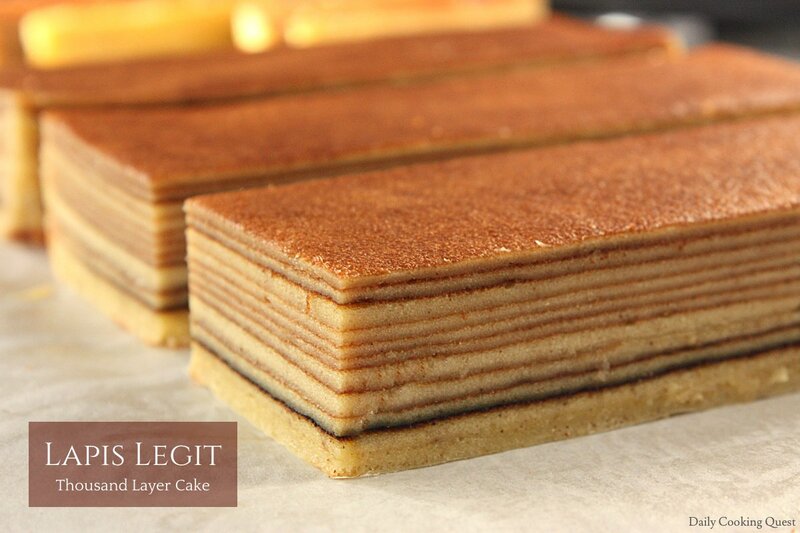 If we don't need the layers, can we make it a cake with the same taste as lapis legit, but without the layered texture? Thanks so much. Hi, can I omit cream of tartar? Hi Laila, yes you can omit cream of tartar, but please substitute the 1/4 teaspoon cream of tartar with either 1/2 teaspoon of lemon juice or 1/2 teaspoon of white vinegar. This recipe looks delicious! I am wondering though, the cakes that I can buy here locally (the Netherlands) are almost always layered cakes with alternating green/brown layers. Which is the traditional Indonesian recipe? Or are they both different versions of Lapis Legit? I’ll be making this cake regardless, I am just curious! Hi Benjamin, the most common one in Indonesia is definitely the one like mine. I think the green/brown alternating layer is a fancier version, with the green layer mixed with pandan for color. So if I want to make the fancy version, I would just split the batter in half, add pandan (it's a liquid right?) to one half and then layer them? Would that alter the flavor of the green layers? Seems to me that the 'fancy' version doesn't take much more effort, so that's why I'm curious. I have never tried adding pandan to the batter before, but the way you described should work, and I am almost sure the green batter will have pandan flavor. I'll give it a go, thank you! Hi , there were 12 egg yolks using and 6 egg whites. May i know what do u do with the balance 6 egg whites? Could we use 12egg whites instead? Hi Sweetie, I usually just fry the egg whites for breakfast :) Lapis legit is a very rich cake, traditionally we use plenty of egg yolks (like 40!) to make one cake, so I wouldn't recommend increasing the egg whites to 12 or it will be too far off from the traditional version. May I know what spekkoek seasoning? As stated in the recipe, spekkoek seasoning = equal amount of cinnamon powder, mace powder, and nutmeg powder. Since we need 1/2 teaspoon of spekkoek seasoning for this recipe, we need 1/6 teaspoon cinnamon powder + 1/6 teaspoon mace powder + 1/6 teaspoon nutmeg powder. What kind of butter do you use? 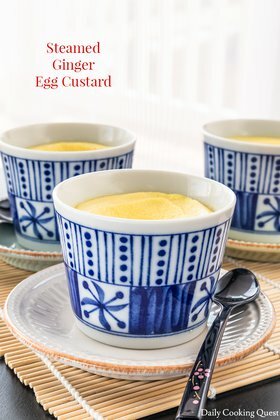 Do you have to use the traditional Dutch butter or is there a mix of margarine and butter that can be used? Hi! I’ve looked through a lot of recipes for this cake. Wondering why rum is used ? Hi Anita , I was wondering whether to use a cold butter or the one that is left overnight ? Hi Kelvin, I always use room temperature butter when making lapis legit.